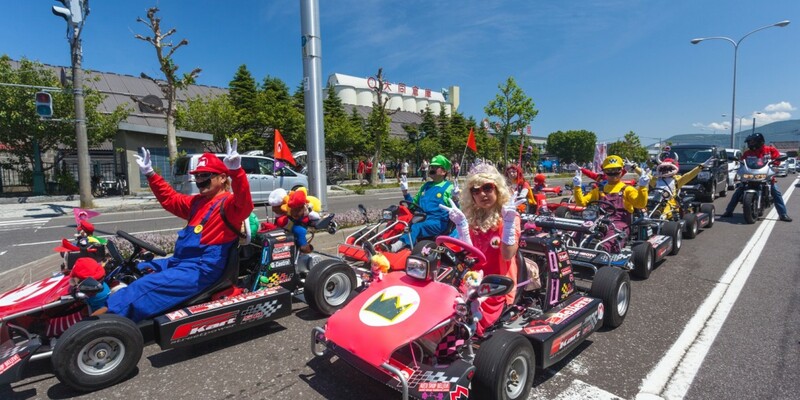 Japan’s getting a $350 million Mario theme park attraction, but will it have a Rainbow Road? The 2020 Olympics in Tokyo, Japan might feel a long way off – and, well, they are – but by the time the event starts, another of the country’s major cities (Osaka) will be hosting a dedicated Super Mario attraction inside Universal Studios Japan (USJ). Confirmation of the Nintendo Mario area (it’s really, really tempting to refer to it as Mario World, but there’s no indication of the name just yet) came from Japanese publication Sankei, which reports that the project will cost Universal Studios just over $350 million (around 400 billion yen) by the time its completed some time before 2020. It’s currently slated to take a prime spot just to the left of the entrance of the park. There’s no word on what it’ll be comprised of, but if it’s anything like the Harry Potter section (snappily named ‘The Wizarding World of Harry Potter‘) that the park opened last year, it’ll be a full-on Mario experience with actors dressed as characters from the game and plenty of different areas to explore. Will you have to rescue Princess Peach? Wander through a Mushroom Kingdom? Or maybe you’ll even get to drive the Rainbow Road from Mario Kart for real. Probably not though.